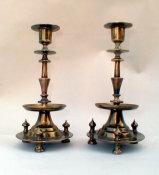 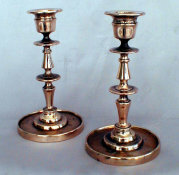 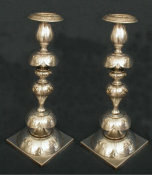 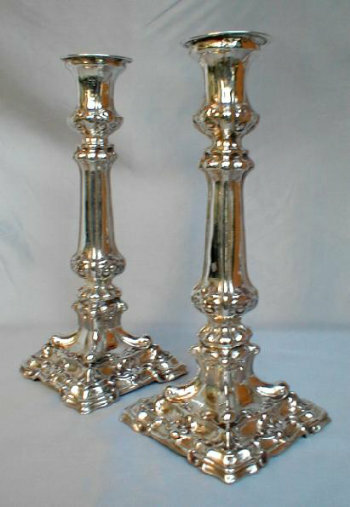 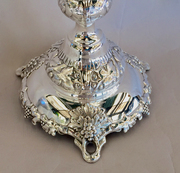 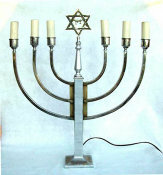 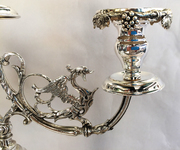 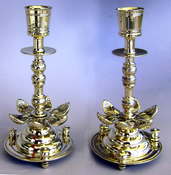 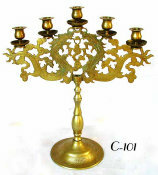 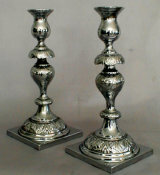 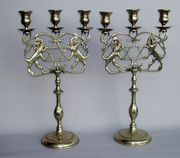 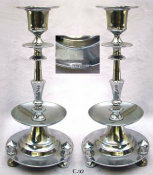 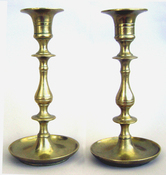 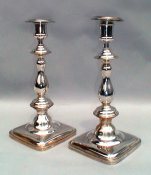 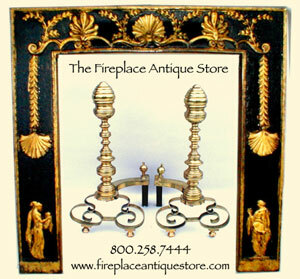 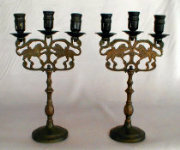 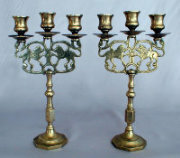 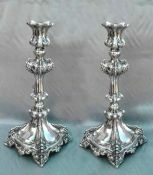 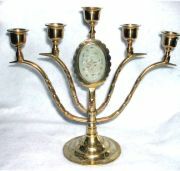 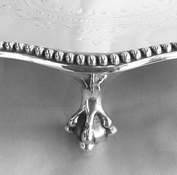 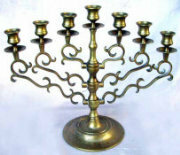 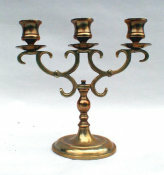 Lovely Silver plated Russian/Polish Sabbath Candlesticks, late 19th Century. 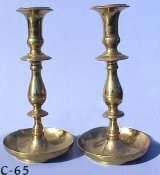 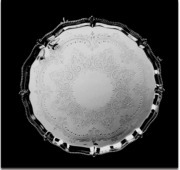 ht: 10 1/4". 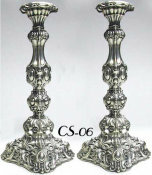 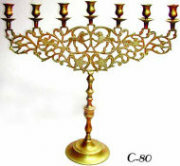 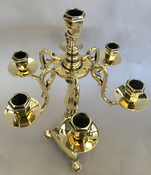 Die struck and fabricated, baluster stem rises from flat, squared highly embossed ornamental base lavishly detailed with Acanthus leaf motif.